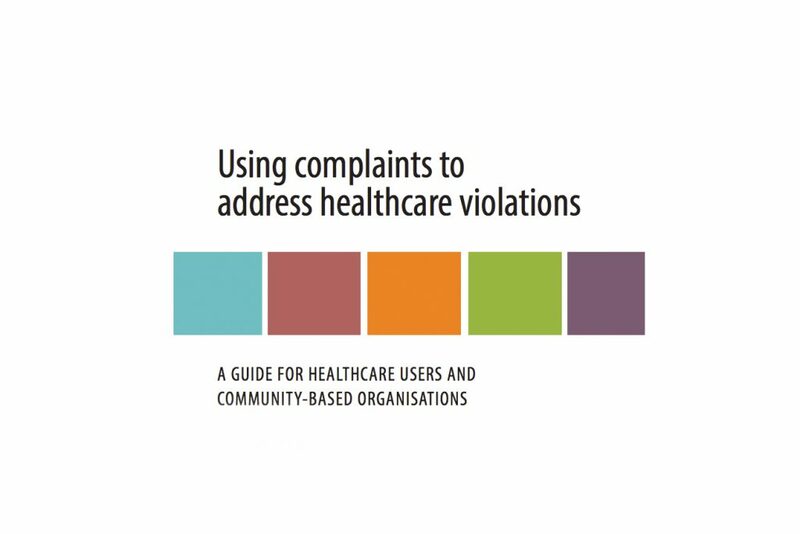 This Guidebook provides information about how healthcare users in Africa can enforce their human right to health by making use of complaint processes, particularly for people who are disproportionately vulnerable to HIV (key populations). The Guidebook gives information for healthcare users about human rights when using healthcare services, and on how to use complaint processes at healthcare facilities, in national human rights institutions and in health professions and nursing councils. Information is given for community-based organisations on how to support complainants. Particular information is given about complaint processes in Botswana, Malawi and Zambia and with the Global Fund to Fight AIDS, Tuberculosis and Malaria. Download a full version of the report here. For training purposes, you can download a presentation on the Guidebook here. This Guidebook was generously funded through the Africa Regional Grant on HIV.